Rijeka has been preparing a spectacle to mark the end of a carnival festivity that has been occupying the city streets for a month. 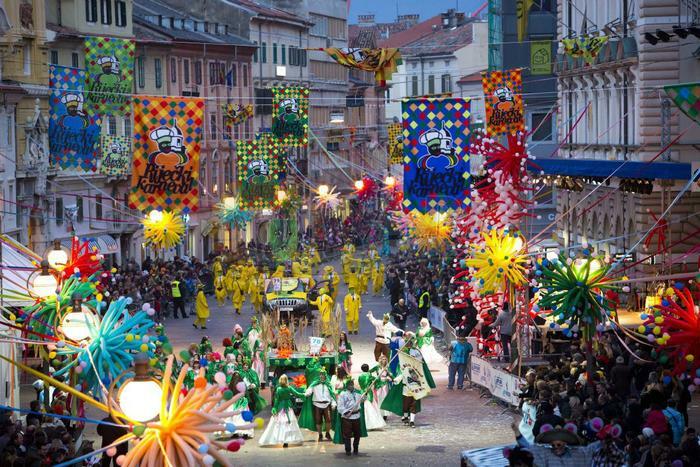 On Sunday (March 6th) domestic and foreign carnival groups will come to procession in Rijeka and compete in creativity, originality and merry spirit. Last year there were 9000 participants and 100,000 spectators which is enough to guarantee everyone a good time at this year carnival craze. Rijeka is one of the most important carnival towns in the world, and has been put right after Rio and Venice by many when it comes to popularity. Even 100 years ago, during Austria-Hungary, Rijeka was a popular carnival destination. Austrian and Hungarian aristocracy used to organize costumed balls and processions, with guests from other European courts. In 1982 the tradition was renewed and the carnival has grown in an important global event.